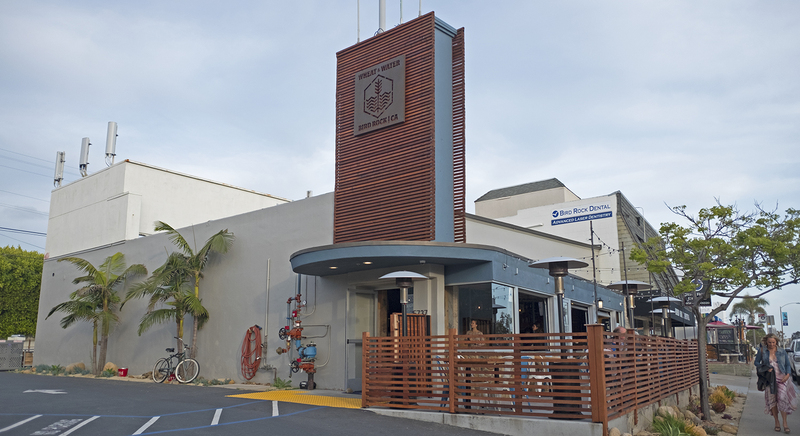 A pizza joint in Bird Rock featuring a clean, modern, beachy design, a full bar, and wood-oven pizzas fired at 700 degrees on white oak. Pizzas designed with gourmet toppings including béchamel, mushrooms duxelles, grilled pears, roasted shishito peppers, and braised pork shoulder in salsa verde in addition to traditional pepperoni and meatballs. Monday 4-6pm: $4-$5 drafts, $5 bottled, $7 wine by the glass and cocktails. $4 fries, $7 brussels sprouts and potatoes, $8 meatball plate, $9-$10 pizza. Tuesday 4-6pm: $4-$5 drafts, $5 bottled, $7 wine by the glass and cocktails. $4 fries, $7 brussels sprouts and potatoes, $8 meatball plate, $9-$10 pizza. Wednesday 4-6pm: $4-$5 drafts, $5 bottled, $7 wine by the glass and cocktails. $4 fries, $7 brussels sprouts and potatoes, $8 meatball plate, $9-$10 pizza. Thursday 4-6pm: $4-$5 drafts, $5 bottled, $7 wine by the glass and cocktails. $4 fries, $7 brussels sprouts and potatoes, $8 meatball plate, $9-$10 pizza. Friday 4-6pm: $4-$5 drafts, $5 bottled, $7 wine by the glass and cocktails. $4 fries, $7 brussels sprouts and potatoes, $8 meatball plate, $9-$10 pizza.